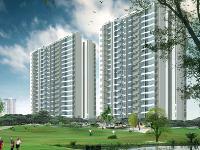 I have a flat in Jaypee greens noida , pavillion heights , tower – 2 , non golf , 1650 sq. ft., 3 bhk , payment plan 50:50 . 50 % on possession . Payment upto date . Price 6500 per sq. ft. . Floor 11th. Price negotiable . Interest buyers may contact . This entry was written by admin, posted on January 18, 2014 at 11:27 am, filed under Residential Properties For Sale and tagged Apartment / Flat, For Sale, Noida, Noida-Greater Noida Expressway. Bookmark the permalink. Follow any comments here with the RSS feed for this post. Trackbacks are closed, but you can post a comment.